Envirocleanse supplies the inTank ballast water treatment system (BWTS), a unique solution that treats water in ballast tanks in-transit. 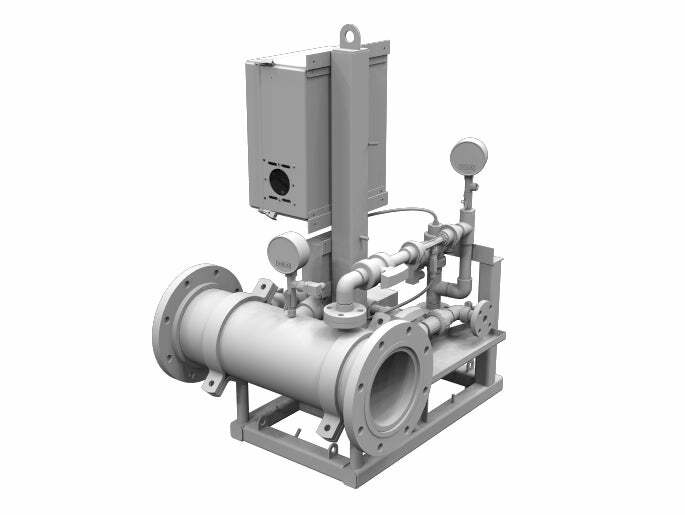 Once a ship is underway, a patented nozzling system will disperse disinfectant and neutralizer, rendering ballast water tanks compliant for discharge. Ships are able to use the inTank BWTS without disrupting normal cargo operations. The vessel can continuously pump ballast as the inTank system has no filter and uses no power during cargo operations. In addition, the system will not turn on until the voyage is underway, reducing the vessel’s peak power consumption and enhancing the efficiency of shaft generators. During the voyage, the inTank system opens a ballast tank, allowing some water to be drawn aft to a small mounted monitoring / injection and circulation skid. Oxidant is added and the water is pumped back to the same ballast tank through patented injection nozzles. Smaller doses over a longer period assure that not all of the active chemical needs to be produced at once, reducing long-term operation costs and capital expenses for repowering ships. The inTank system enables chlorine-based disinfection using bulk dosing or hypochlorite generators. Bulk dosing is suitable for ships with short voyage times, while a hypochlorite generator is the best choice for longer journeys undertaken by larger vessels. For ships that require maximum flexibility, both options can be installed to optimise economy and trading opportunities. The hybrid installation allows bulk dosing to quickly overcome organic loads at the beginning of a voyage, with the hypochlorite generator handles subsequent maintenance doses. Installing both options requires less storage space for chemicals and a smaller generator unit, leading to reduced operating costs. The Concentration – Time (CT) method regulates hypochlorite doses delivered to the ballast tank. This is commonly used in municipal and industrial water treatment industries, and is the safest way to ensure compliance for ballast water tanks. The inTank system monitors total residual oxidant (TRO) in the tank as an indicator of the level of treatment completed and number of active organisms remaining. This treatment method assures compliance regardless of any challenging water conditions. TRO increases as hypochlorite is added, and decreases as it is used to treat organisms and other organics. Subsequent doses of hypochlorite may be injected to achieve the required CT value. When the required CT value is met, the inTank system then maintains the tank with a low residual TRO to prevent potential regrowth. If required, a regulated dose of sodium thiosulphate, can be injected to the tanks before discharge. This is handled in-transit so that tanks are available to discharge immediately when the vessel enters the port. Envirocleanse has carried out full-scale tracer dye studies and ran computer simulations for all of its ballast tank configurations to prove the effectiveness of active chemical diffusion in tanks. The patented nozzling components of the inTank system, combined with a ship’s natural rocking motion, can fully mix tanks in a short time period. Moreover, the inTank system does not need to turn over the entire volume of the ballast tank. Approximately 5% of ballast is required to be circulated through the TRO monitoring skid. Envirocleanse has a worldwide network of agents that can deliver parts and after-sale services to ships, as well as classroom and online tutorials for operators and crews. The company also sources consumable inventories for clients, ensuring they are able to maintain an efficient ballasting operation that ensures compliance in all water conditions.